Norway is running for presidency to become the progressive metal capital of the world. Everything from Conception to Leprous, from Pagan’s Mind to Circus Maximum, just to mention a few, and now WITHEM. The band had its inception in 2011 when Øyvind Voldmo Larsen (guitars) and Ketil Ronold (keyboards) met the remarkable drummer Frank Nordeng Røe. Shortly they were joined by the voice talent Ole Aleksander Wagenius. For the debut album, bass was recorded by the special guest Andreas Blomqvist from Seventh Wonder. In 2013 the band found the current bass player, Miguel Pereira. The debut album, The Point of You was released worldwide on October 2013. Reviews confirmed the expectations built around the band and the fan base kept growing with each live performance. Playing in ProgPower USA 2014 was one of the highlights of the live shows that promoted The Point of You throughout 2013/14. Withem also played shows with Dream Theater, Pagan’s Mind, Circus Maximus and Seventh Wonder, always with an extremely positive reception. Live footage of the complete show in ProgPower USA was released on YouTube as a thank you gift for all the support given by the fans since day one. 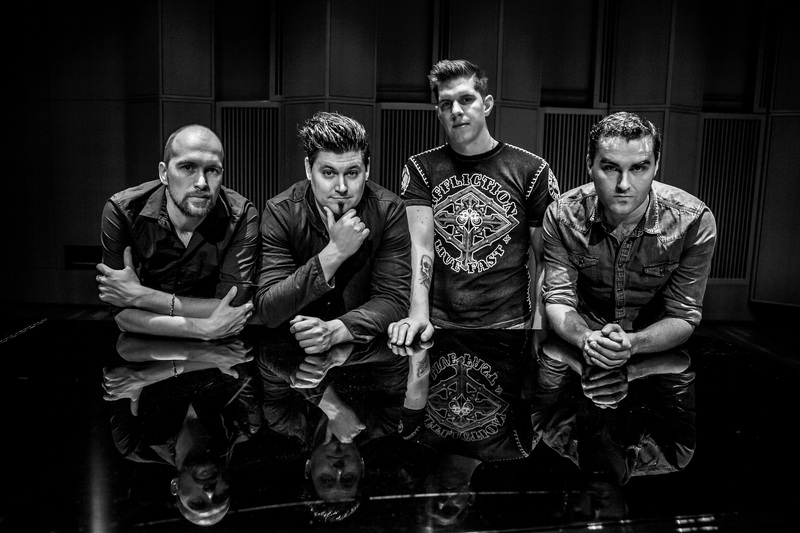 On February 2016 Withem announced the partnership with Frontiers Records to release the sophomore album – The Unforgiving Road. 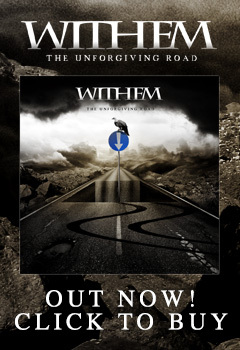 The Unforgiving Road was released on June 3rd 2016 and this second chapter takes the band in a journey across both familiar and new territories. Melody and solid composition still take the front seat while each instrument shines on its own way. The Unforgiving Road is packed with bombastic riffs and powerful choruses while still leaving room for the softer side that fans have been asking for. The unique vocal range of Ole Aleksander Wagenius grants the much-needed distinctive touch to stand out in the progressive metal scene.